Greek yogurt is known as one of the best ways to add creaminess and nutritional value to your smoothies. 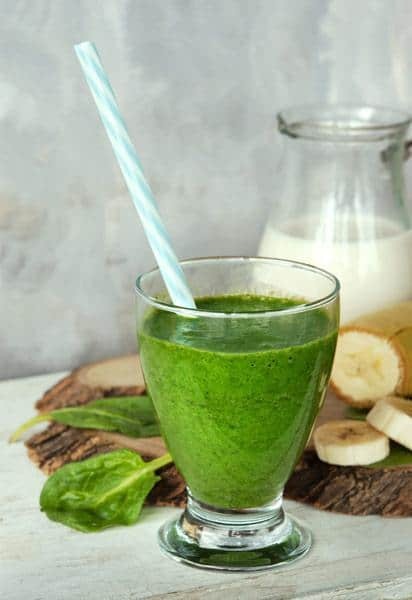 It helps to round out the sweetness of fruit smoothies, add depth and richness to green smoothies, and provide balance for other kinds of smoothies. What are the health benefits of Greek yogurt? 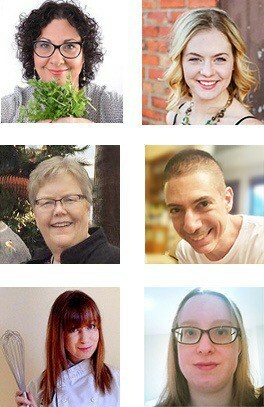 Greek yogurt is a popular option in many diets and recipes for a variety of reasons. It’s made by taking regular yogurt and removing lactose and liquid whey from it. ​Taste and texture - Greek yogurt has a thicker texture than regular one, which makes it an ideal smoothie thickener as well as a great substitute for sour cream and crème fraiche. The taste is tangier - if you haven't tasted it before, definitely give it a try and see how you like it. Carbs - Greek yogurt contains about half the carbohydrates of a regular yogurt. For the lowest carb count, choose the yogurts that contain less added sugar. Protein - Greek yogurt contains roughly double the amount of protein than regular yogurt. This makes it ideal for workout smoothies, as well as feeling fuller for longer if you're looking to lose weight. Sodium - Greek yogurt is lower in sodium compared to regular yogurt - about half the amount! Fat - Normally, Greek yogurt contains almost three times the saturated fat of regular yogurt. That's why I always choose one of the non-fat or lower fat varieties. Greek yogurt is available in plain or flavored, different fat concentrations in the milk, and from sources around the world. Protein helps the yogurt be thicker and creamier, but that’s not all. Yogurt increases the protei﻿﻿n and amino acids in your diet, which leads to less h﻿unger and greater fullness. 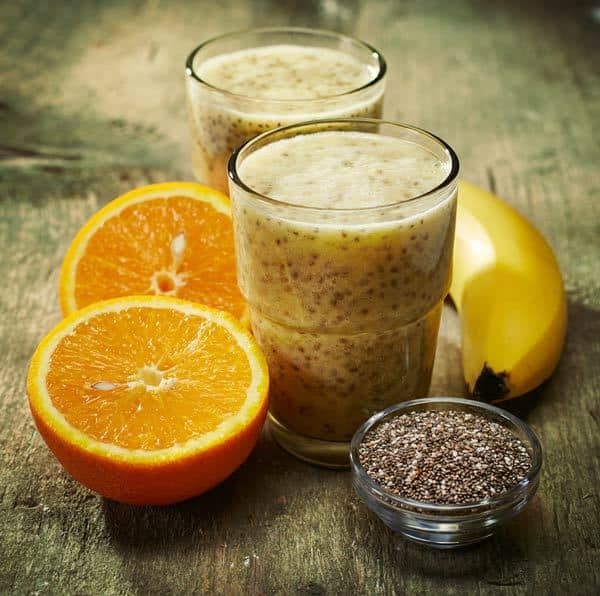 It’s also ideal for a pre or post-workout smoothie. Greek yogurt is a good source of probiotics for good gut health, and is an excellent source of conjugated linoleic acid, which some studies show has a protective effect from mammary cancer. It may also help to lower the risk of depression, contribute to a lower chance of developing metabolic syndrome, and could even help to improve your skin. Even without all of that, Greek yogurt is a delicious way to thicken your smoothies without extra sugar and carbohydrates. These easy smoothie recipes with yogurt bring in the benefits of Greek yogurt while providing a delicious meal replacement option at any time of the day. This is a great protein smoothie with Greek yogurt that you can make for breakfast or after a tough workout when you want to increase your protein and build your muscles. 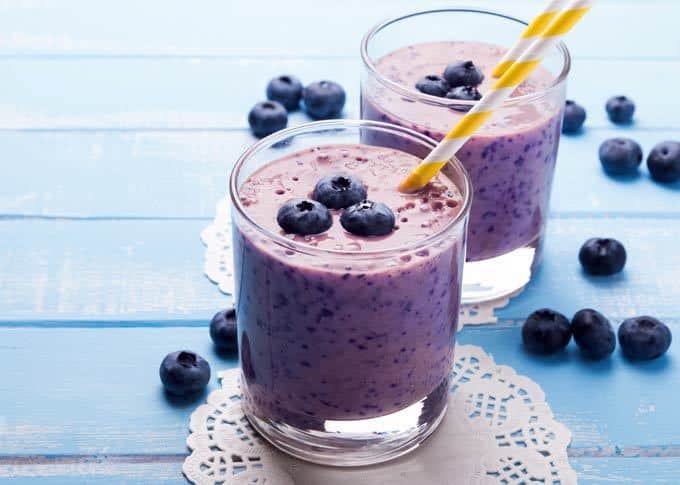 This fresh smoothie pulls in blueberries and spinach for a healthy morning energy boost. This creamy, tasty treat brings all the flavors of childhood to this delicious, nutritious, grown-up smoothie version of the classic orange creamsicle. Blend all ingredients until thick, smooth, and creamy. If you’re using a frozen banana, a high performance blende﻿r is recommended. 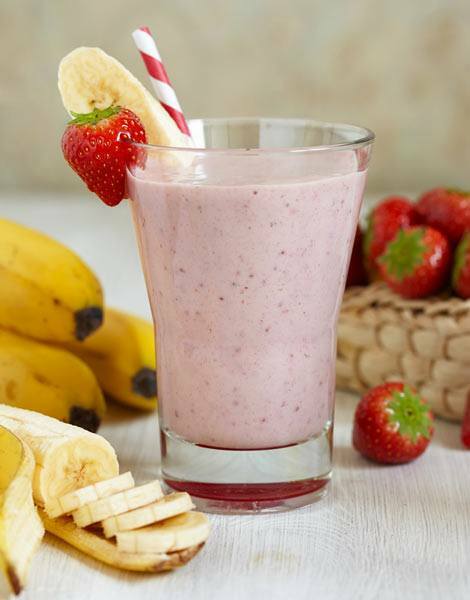 This creamy smoothie is a simple smoothie with a rich vanilla flavor. Put all ingredients in a blender and pulse until frozen ingredients fully combined. 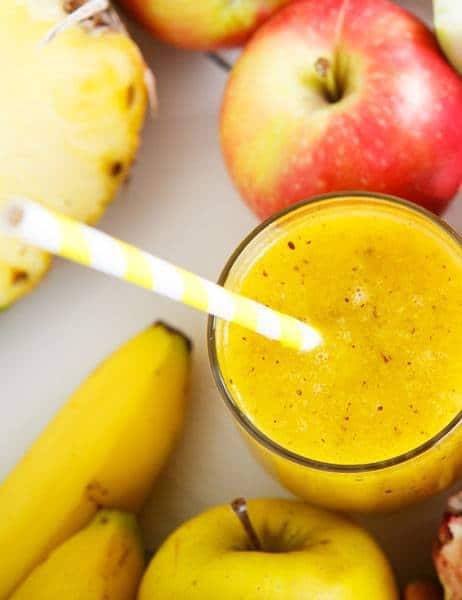 This tropical smoothie will keep you full while giving you 65 grams of protein. You can experiment with different flavors of protein powder. I found vanilla or cookies n cream to work great. 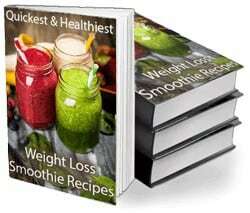 Do you have your own favorite smoothie recipe with yogurt? What are your favorite types of yogurts to add to smoothies? Share with us in the comments below! These are my best smoothie recipes with Greek Yogurt to help you get your day started with loads of energy, nutrition, and great flavor! Enjoy these easy and healthy recipes in the mornings or at any other time of day. I’ve started adding Greek yogurt to my smoothies lately so this post has come at just the right time for giving me some inspiration! So glad we could help, Tony! Let us know what you think of the ones you try out 🙂 Hope you enjoy them! Thanks Jennifer! Only had chance to try the Banana Vanilla Greek Yogurt recipe so far but that was great 🙂 Orange Vanilla coming up next! So glad you loved it, Tony! Hope you enjoy the others as much 🙂 Orange Vanilla is also delicious so I’m sure you’ll like it too!